Make sure your oven rack is set 5 to 6 inches from the broiler. Preheat the broiler. 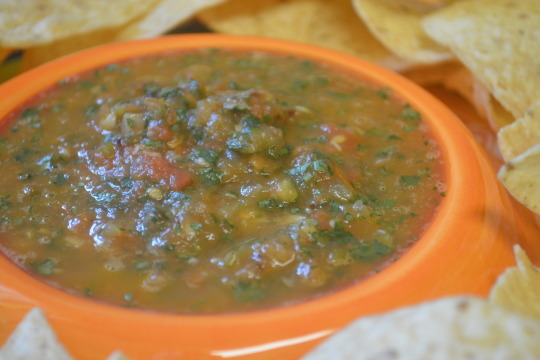 Take a large mixing bowl out and toss the tomatoes, onion, garlic, and chile pepper together in it. Pour enough oil in to coat everything. Take a 15 x 10 x 1-inch baking pan out (we lined ours with aluminum foil) and spoon the mixture onto the pan, spreading it out so everything is in a single layer. Broil the vegetables for 8 minutes, turning them over afterwards. Broil for another 6 to 8 minutes or until the vegetables start to darken around the edges (7 minutes did the job for us). Take the baking pan out of the oven and let it rest on a wire rack for 10 minutes, letting everything cool down. Take the roasted vegetables as well as any juices on the baking pan and place them in a food processor, pulsing on and off until everything’s coarsely chopped. 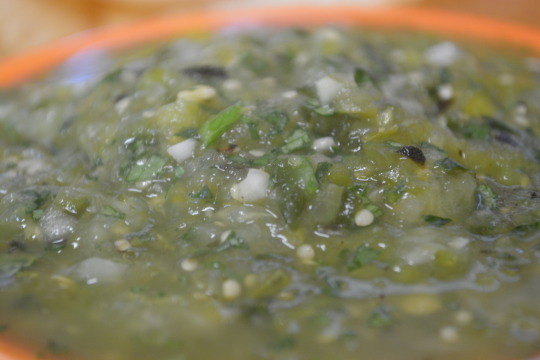 Add the cilantro, lime juice and sugar into the food processor, continuing to pulse until the salsa has reached your own preferred consistency. Season to taste with salt. You can either eat this right away or put it in a sealed container and refrigerate for up to 3 day. While this tastes good, we were surprised that this didn’t taste spicy at all since we left the jalapeño’s ribs and seeds in the mixture. We really enjoyed the lime flavor. It was just a nice blend of flavors that we enjoyed. 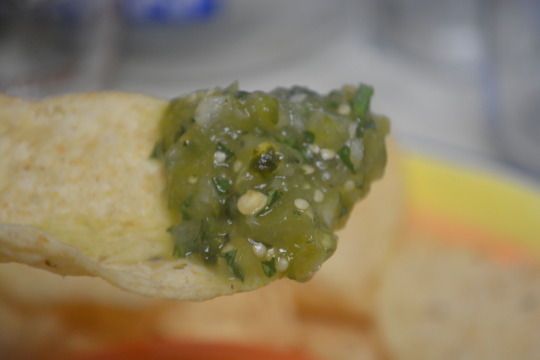 As much as you might enjoy some salsa from jars, nothing can beat the flavors of a freshly made salsa ! 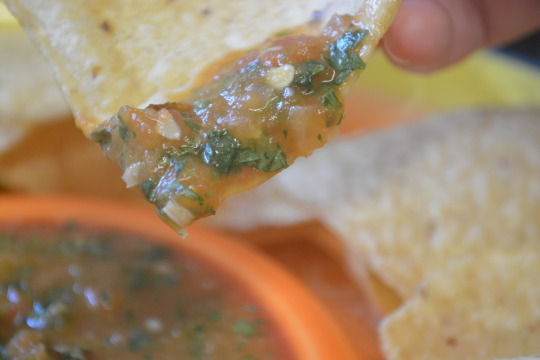 We pureed our salsa more because I don’t care for the texture that bigger chunks of tomatoes have but whichever texture you choose, the flavor is there !